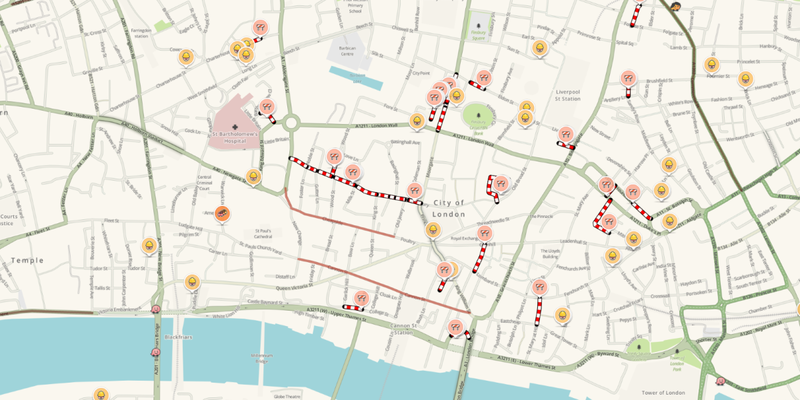 A little while ago, I sat down with Julie Mossler from Waze for a chat about the mapping and turn-by-turn directions service. What quickly became clear is that the biggest thing the company has going for it is the impressive community contributions that keep the service up to date. However, ‘built by you‘ might turn out to be incorrect if the filing from rival navigation company PhantomAlert is upheld in court. In a nutshell, it alleges that after nearly coming to a deal to share database information between the two companies (the database exchange deal fell apart because Waze didn’t have enough to offer at that stage, the filing says), Waze captured Points of Interest (POI) data that could only have come from PhantomAlert’s systems. Why does PhantomAlert think this is the case? Some of the POIs weren’t real – a commonly used tactic by map makers is to include dummy info, in order to try and prove an infringement, like here. “Among other methods, PhantomAlert determined that Waze had copied its Points of Interest database by observing the presence of fictitious Points of Interest in the Waze application, which PhantomAlert had seeded into its own database for the purpose of detecting copying,” the filing says. That’s what seems to be the crux of the issue here – Waze sold to Google for more than $1 billion in 2013, and part of the reason it was an attractive purchase would have been its database of information. Clearly, if that data hadn’t been obtained in a legitimate way, it’s easy to see why that would sting a bit. PhatomAlert is requesting the court to order a preliminary and permanent injunction against the operation of the Waze website and service and for punitive damages to be awarded. It seems unlikely that the court will order the shuttering of the service, but it could well spell a payday for the rival company if the complaint is upheld. If it isn’t, however, it’ll look like a pretty high-profile – and expensive – case of professional jealousy. Not every company can be bought by Google. Waze declined to comment for this article.